sounds interesting but we would prefer to have the original napster back. With CD sales in free fall and legal downloads yet to fill the gap, the music industry has reluctantly embraced the file-sharing technology that threatened to destroy it. 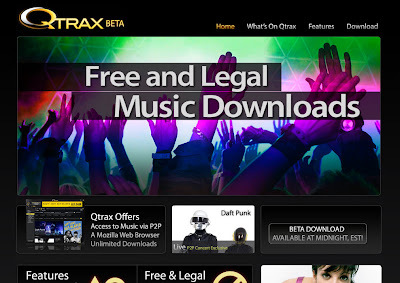 Qtrax, a digital service announced today, promises a catalogue of more than 25 million songs that users can download to keep, free and with no limit on the number of tracks. The service has been endorsed by the very same record companies - including EMI, Universal Music and Warner Music – that have chased file-sharers through the courts in a doomed attempt to prevent piracy. The gamble is that fans will put up with a limited amount of advertising around the Qtrax website’s jukebox in return for authorised use of almost every song available. The service will use the “peer-to-peer” network, which contains not just hit songs but rarities and live tracks from the world’s leading artists. click here to read more from the times online.